Everything You Need To Know About Priyanka Chopra's Fitness, Diet & Beauty Routine. The best part about Priyanka is that in spite of so many years gone by, her flawless acting skills and physique remains the same. What's the secret behind our Desi girl's perfect bod, you ask? You're about to find out! Priyanka Chopra's Fitness Regime And Diet Plan. Did you know that Priyanka Chopra had to shed 7kgs to get ready for Dil Dhadakne do? Yep, when it comes to her career, she's very determined to keep her body in shape and healthy. One of the things she has said time and time again is that she isn't a fan of the gym. In fact, in an interview with E! Online, she admitted that she never works out! She admitted that she has great Indian genes and an excellent metabolism. She said, "I like food, and I don't like the gym, and as long as I look like this without doing anything, why bother?" When she is in the zone to get fit, she follows an intense work out for an hour for four days a week. - 15 minutes of running on the treadmill is a must. - She later follows it up with push-ups and performs reverse lunges. - Since she's not very fond of weight training, but she is a huge fan of yoga. It helps her keep calm and improves her posture and flexibility. - For that flat tummy, she likes to hold a plank position for 30 minutes and does plenty of bicep curls. - When she's not working out at the gym, she likes to go for a run and perform spinning at home. When PeeCee is not working out at the gym, she's practising yoga. It's her most favourite thing to do in the world! Yoga helps her keep calm and improve her posture and mental health. You'll usually find her doing the Half Lord of the Fishes Pose, Tree Pose, Pranayama and Warrior Pose. She wakes up every morning at 6 am and the first thing she does is yoga! 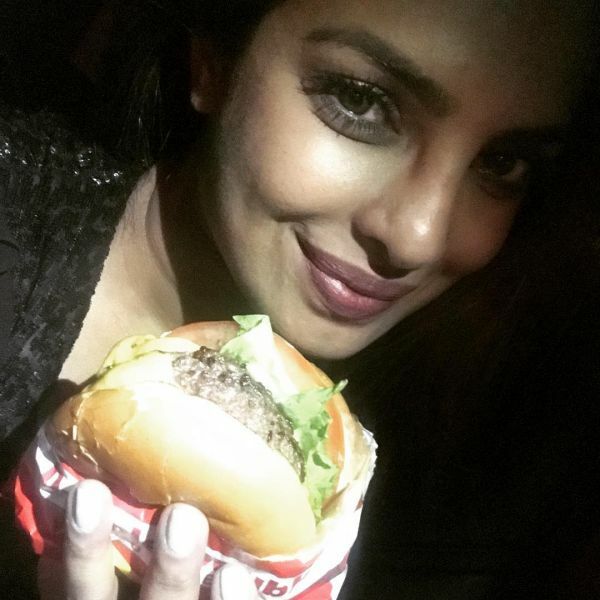 Priyanka admits that she's a foodie. In fact, Abhishek Bachchan even named her 'Piggy Chops' because of her love for food. Her metabolic rate is amazing and she can easily indulge in junk food once in a while. Although she tries to steer clear from oily and greasy foods, she does have a sweet tooth for red velvet cake, hot chocolate fudge and her favourite, jalebis. Just for your information, our Desi girl isn't too experienced with cooking. 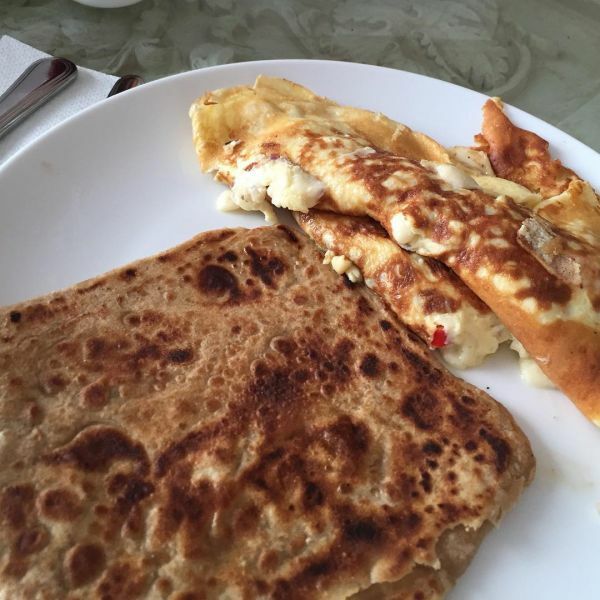 However, she makes a great host and makes sure that no one leaves for home on an empty stomach. She's a gem that way! Another fact about Priyanka Chopra is that she does not believe in starving to lose weight. In fact, for her, it's more to do with mind over matter. PeeCee takes control of her lifestyle and goals. Everything starts with a strong mind for her and if she were to listen to her cravings and body, she would always feel sluggish and low on energy. She urges her fans to not starve themselves, but find a balance in their diet. From time to time, it's okay to indulge in your favourite dessert. For Priyanka Chopra's detailed diet plan, do read more! She eats either 2 eggs or opts for oatmeal. She follows it up with a tall glass of chilled skimmed milk. She's a huge fan of home cooked food! So, on her plate for lunch, you'll find 2 chapatis, good old dal, sabji and bowl full of fresh salad and fruits. Turkey sandwiches are her favourite! Along with that, sprout salad is a must. For dinner, she eats light. It's either soup or grilled chicken or fish and stir-fried veggies at the side. Priyanka is a foodie and loves to spoil herself with tasty treats once a week. This includes pizza, burger, buffalo wings and frozen doughnuts. What's Her Secret To Glowing Skin? The actress drinks not just 8, but 10 glasses. To keep her energy levels high, she drinks coconut water too. However, she stays away from aerated drinks because they can never be alternatives for water and are bad for health. PeeCee's favourite ingredient from the kitchen is probably yoghurt. She uses it both on her hair and skin. She usually makes a hair pack using yoghurt and lemon juice. She keeps the pack on for a good 20-30 minutes and then, washes her mane with shampoo and lukewarm water. For her skin, she is very serious about moisturising. Before landing, she slaps on an SK2 hydration mask and keeps it on her face for a good 20 minutes. It makes her skin fresh, radiant and supple. If there's one thing PeeCee can't stand, it's chapped lips. She likes to apply layers of lip balm on her lips and fresh cream on the lips to make them soft and supple. As far as her lipstick shades are concerned, you'll usually see her wearing lots of browns and pinks. Those two colours work well with her skin tone and make her pout look oh-so-kissable! Also, PeeCee doesn't apply foundation and concealer until she puts on a moisturiser. 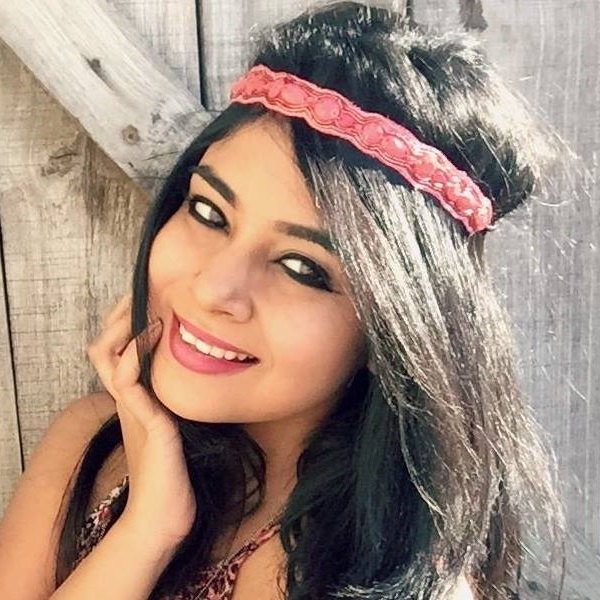 She's loyal to two makeup products - MAC Studiofix foundation (Rs 2,700) and the Bobbi Brown Concealer (Rs 3,350) She also is a big fan of applying Kajal since her eyes are one of her favourite features. 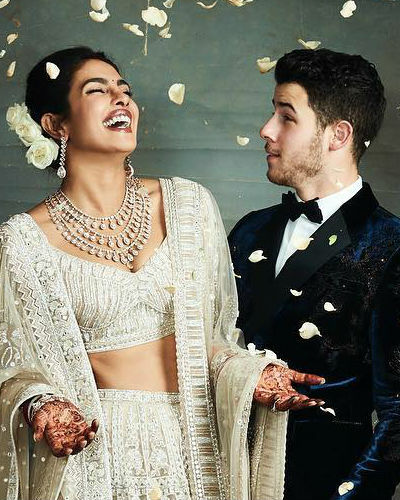 What Was Priyanka Chopra's Bridal Makeup Like For The Wedding? 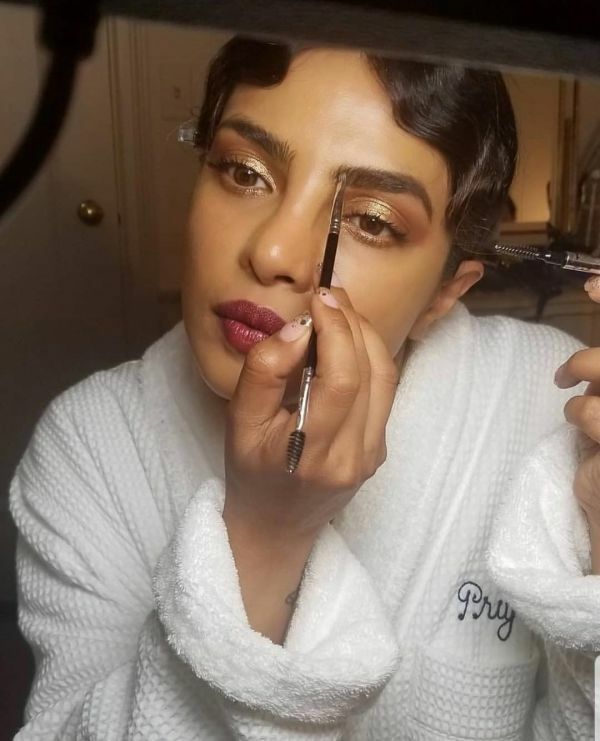 Priyanka's bridal makeup was anything but extra. For the Christian Wedding ceremony, Yumi Mori did her makeup and used only Marc Jacobs makeup products to even out PeeCee's skin complexion and give her the lovely airbrushed finish. Priyanka usually sticks to lipstick shades of brown and mauve, this time, she went for a brick red tint. For her wedding reception in Delhi, Uday Shirali did her makeup. He's been doing PeeCee's makeup in India for 9 years. He knows what kind of makeup works for the actress and keeps her likes in mind. He kept her makeup minimal and fresh for her big day and painted her lips chocolate brown. She looked like an absolute stunner at her reception that night. What Makes Her Feel Beautiful? Priyanka Chopra has always felt comfortable in her own skin. She believes that if a woman thinks she is pretty from the inside, it shows on the outside as well. Inner happiness and beauty are related. Her advice for the women out there is to be confident and love their bodies regardless of what they look like.